When Choosing Longboard Fins you get to enjoy the best of surfing’s history and future like in no other part of our sport. The single longboard fin is classic, taking you back close to where it all began. New fin designs and tech are also on hand that can radically improve your surfing experience. While shortboard surfing is all about performance, longboarding has both performance and purely aesthetic aspects. If you want to perform you’ll need fins fin tuned to your board, your body-type, and the way you want to surf. If you’re out for fun you could use almost any type of fin. The progression of the surfboard fin starts from alaia surfboards with no fins, to wooden water craft with keel type fins, to glassed on fins, then to the fins with boxes we have today. Through this continuum of change the principles that govern the effectiveness of a longboard fin have remained the same. So what are Longboard Fin Principles? Going to the basics, the wider the base of your fin the more drive and direction you will get. The narrower the base of your fin the easier it will be to turn. The taller the height of your fin the more hold you’ll get, for example if the wave is steep your board won’t slide out. These characteristics are used in combination to design fins to achieve the way you want to surf. The combination is important as each characteristic has benefits and trade offs. For example, if you want to carve down the line you go for a wider base fin. This fin will direct wave energy. It will also give you more control in more powerful-bigger waves. As a fin gets wider to the tip you get more forward direction but it gets harder to break this forward direction. With too wide a fin your board will feel hard to turn. Wanting to do more turns a narrower base fin with more height gives you looseness feeling easy to turn. If the fin is tall it will give you bite so won’t slide out. If the fin is too narrow it won’t direct enough wave energy to provide forward direction though. Keep in mind that a fin has certain limit in terms of size. So if the fin is too big, with too wide a base and too tall it will create drag and not work. This discussion of drive and looseness is all relative to the way your surfing feels now with your current setup. So choosing longboard fins, if your board feels too stiff and hard to turn then try a narrower base and taller fin. If your board seems to lack forward direction and drive try a wider base fin. While a good surfer can surf well on almost anything, the longboard single fin setup does have inherent limitations. It’s best at doing turns at the bottom of the wave and at the top of the wave. It’s not good mid face, turning the way a shortboard turns. 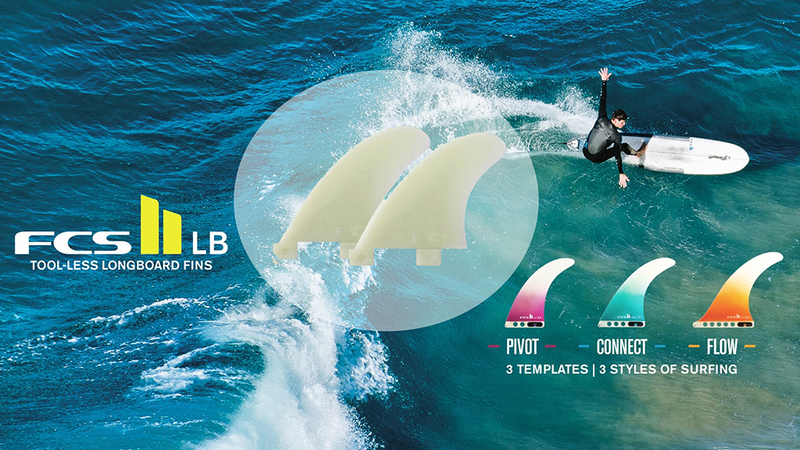 A very popular fin setup that helps give you some of the characteristics of shortboard performance, such as speed and manoeuvrability, is the 2 + 1 setup. This is where you have a single fin in the back with two side fins. This setup provides a blend of speed, drive and looseness. The rear single fin is normally not as large as a traditional longboard single rear fin. The side fins are not as big as normal thruster fins though they may be similar in shape. Adding to the fin characteristics of base and height are Rake and Sweep. 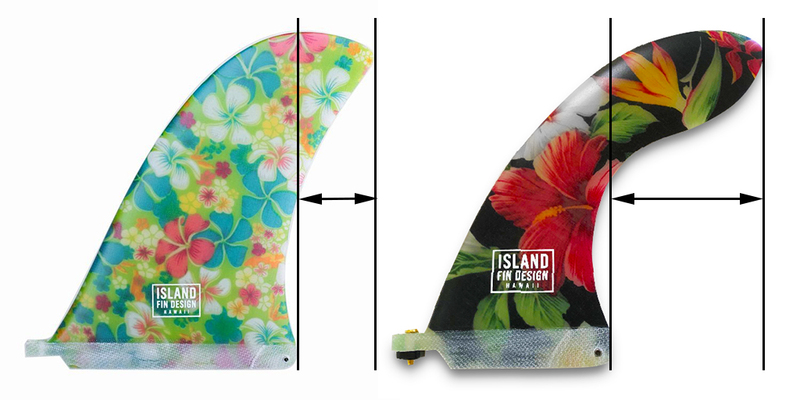 These are two different technical characteristics of a fin that have the same affect. Rake refers to the amount the tip of the fin overhangs the rear of the fin. Sweep is the amount the fin is swept backwards. Less Rake-Sweep, meaning a more upright fin, will help you do more top to bottom radical turns. The more Rake-Sweep, meaning a more swept back fin, helps you go down the line with carving turns. 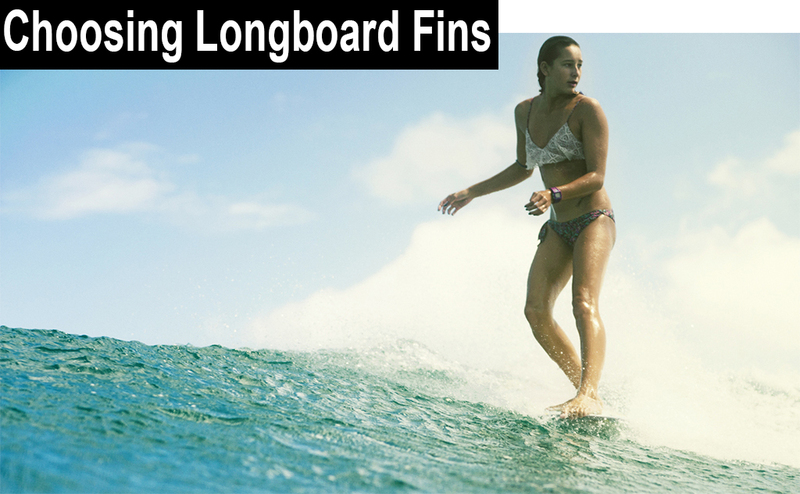 Fin creators are constantly looking for ideal combinations of fin characteristics. Base, height, rake-sweep, flex and foil to match different board designs. You can look for the fin to match the way you want to surf. Most longboards come with a fin box for the rear fin. This box allows adjustment of your fin opening up another aspect of fin performance. Moving the fin in one quarter of an inch increments will change the way your surfing feels. Movement towards the front of the box will make your setup feel looser, that you can turn more easily. Movement back will make your setup feel stiffer. Longboard fins appear very solid, commonly carved out of a block of fiberglass. However materials and foil come into play. Foil is the way the thickness of the fin is shaped from the front to the back. Most fins have a foil with their thickest point at the base and at the front of the fin. From there some fins remain thick while others are fine foiled to the tip. So in your surfing, a too finely foiled fin will bend in the wave and not give you direction. A too stiff fin will direct you but not turn and tend to hop in the wave. The just right foil will give flex to your fin ideally making your board feel like it’s surfing with you. Similarly, materials can give a fin controlled flexiness to achieve a certain feel and performance. The latest carbon additions to a fin can load up wave energy. So it flexes as you go into a turn and releases that energy as you exit. So you get easier turning and good drive and projection. Whether you’re out for performance or enjoyment, the best way to improve your fin experience is to explore and experiment. Explore what other riders are doing. If you want to perform check what the World Surf League longboarders are riding. If you’re out for enjoyment look at what the free surfers are riding. Experiment. Once you’ve come upon someone you like, try the equipment they use. This can be tricky as you have to take into account their board and body size. FCS are pushing innovation with a great performing longboard fin range with new tech that makes it easy to experiment to find a perfect fin setup. 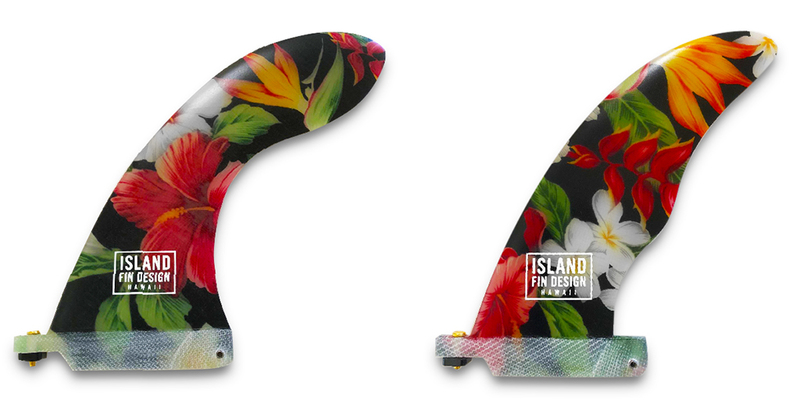 The FCS II longboard system has built a cassette into the fin so no tool is needed to insert or move your fin. This makes it super easy to swap and try different fins and to adjust fin position even out in the surf. It makes experimenting for your perfect fin setup fast and easy. One thing about experimenting is that it’s best done in the same surf session so you get consistency as waves of even the same size can change in power from day to day changing how you think a fin performs. You may want to focus on one aspect of your longboarding, say nose riding. Characteristics in your board can help nose riding such a wider nose and narrower tail combination. Having the right fin can also help. A fin that is taller helps hold your board in the wave while all your weight is hanging off the nose. A specific fin shape, called a Hatchet, gives both reasonable height while maintaining width. It can optimise your time on the nose. Riding small waves and want to perform bottom turns and cutbacks? You could try out either a wide base and shorter fin. Or a fin with less base or area that’s taller. As waves get bigger you need more area in the fin to control the power. So go for a wider base and taller more area fin. 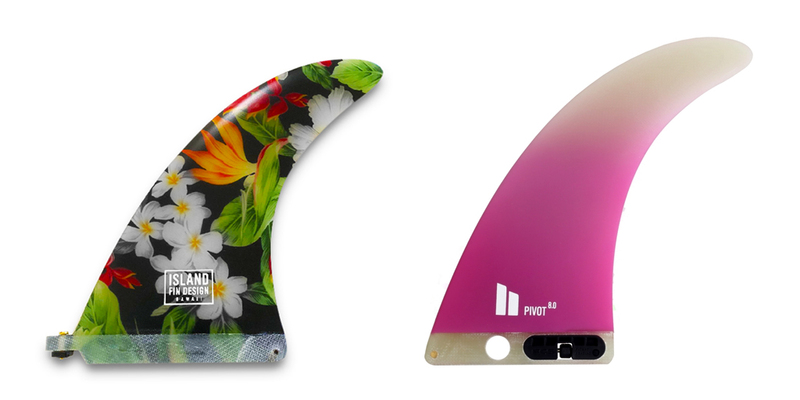 Whether for performance or beauty, your longboard surfing can progress with the right fin. There’s no reason not to have a fin quiver. Variations between fin width and height, rake and sweep, can increase the depth of your longboard fun, enjoyment and performance.